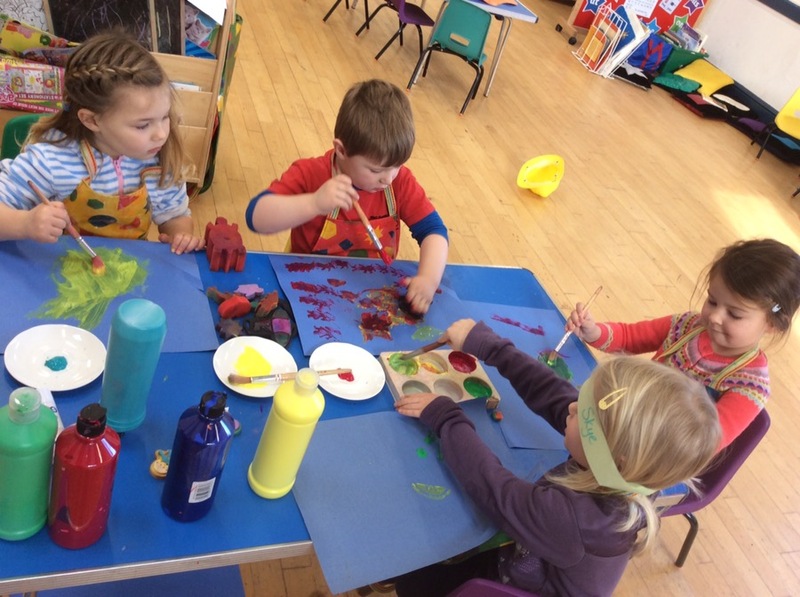 As well as all our other exciting and engaging activities, we were also enjoying looking at people who help us in our community. 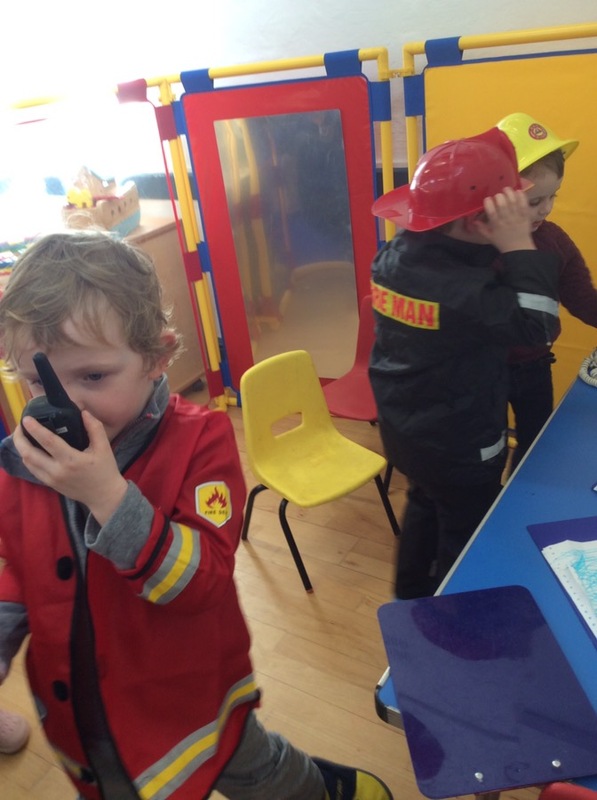 Our role play area was utilised as a police and fire station. The children used the telephone to receive calls from people who had lost things. They made notes on their clipboards and created a small jail which sadly Issy and Jane had to spend time in. 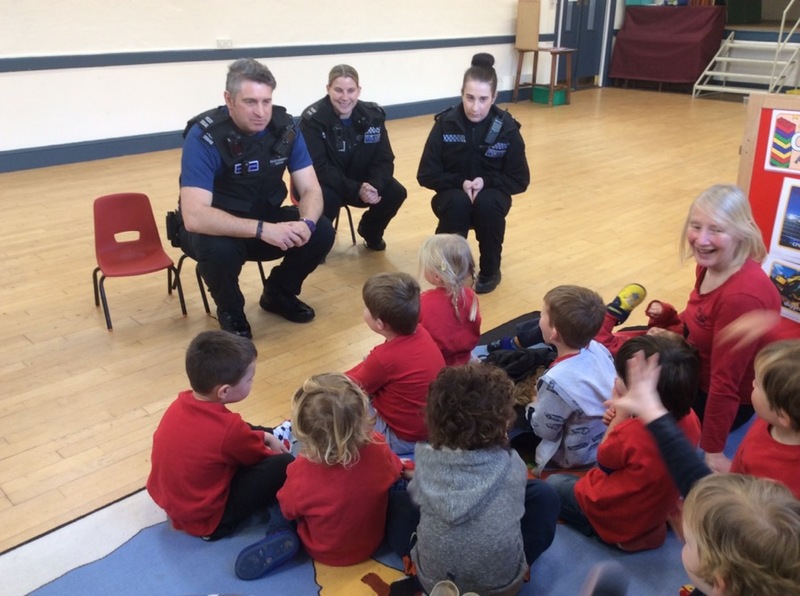 We also had some special visitors, three of our local Police Community Support Officers. We got the chance to ask lots of questions and they told us about their part in our community. We also talked about when we might need to call 999, and the importance of knowing our name and where we live.